What is the PE and Sports Funding? 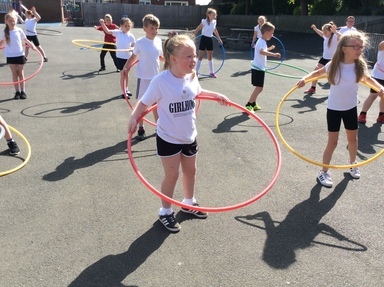 The government is currently providing additional funding of £150 million each year to improve provision of physical education and sport in primary schools. This funding is ring-fenced and therefore can only be spent on the delivery of PE and sport in school. Schools must spend additional funding on improving their provision of PE and sport, but they will have the freedom to choose how they do this. Hiring specialist PE teachers or qualified sports coaches to work with primary teachers when teaching PE. Paying for professional development opportunities for teachers in PE and sport. Providing cover to release primary teachers for professional development in PE and sport. Running sport competitions, or increasing pupils’ participation in School Games. How will we invest this at St Oswald’s Primary School? At St Oswald’s our aim is to ensure a lasting legacy for the additional funding. We recognise the contribution that sport has to health and well-being and wish to provide an innovative and varied PE curriculum with a number of lunch-time and after-school clubs. We can now extend our provision through employing additional sports professionals, enable the children to enter more competitive sports competitions and increase the knowledge and skills of our staff.